In this Diamond Jubilee year, BBC Arts Editor Will Gompertz has been selecting some of the most revealing objects from the Royal Collection to see what they tell us about the monarchs who acquired them. It is one of the most wide-ranging collections of art and artefacts in the world, and also one of the most surprising - offering up an intriguing insight into the minds of the monarchs who assembled it. During the course of this series, Will has encountered dozens of these unique objects - some priceless, others no more than souvenirs - each giving a glimpse into the essential characteristics of a successful sovereign. And in this, the final programme, he delves once more into the Collection to see what a subtly doctored portrait of Richard III, a bombastic mural that once hung in the Palace of Whitehall and the paintings on the Grand Staircase in Buckingham Palace tell us about how the Monarchy has dealt with a series of dynastic crises. And he joins the Royal Collection at work today and sees how Leonardo da Vinci, Johannes Vermeer and a pair of four foot candelabra are brought into the service of both Queen and country. Producer: Paul Kobrak. The Royal Collection is one of the most wide-ranging collections of art and artefacts in the world and provides an intriguing insight into the minds of the Monarchs who assembled it. 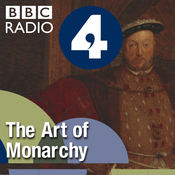 In this series, BBC Arts Editor Will Gompertz encounters dozens of these unique objects - some priceless, others no more than souvenirs - each shedding light on our relationship with the monarchy and giving a glimpse into the essential ingredients of a successful sovereign. In this programme, Will looks beyond these island shores to see the Monarchy as a global force. The monarch was a symbol of imperial expansion, in the form of the British Empire, for 300 years. But Will begins with the current reign, which has seen a retreat from Empire and the development of the modern Commonwealth, exemplified in the Royal Collection by a small woven cloth made with yarn spun by Gandhi, which contains an anti-imperial message written in Hindi. Centuries ago, the Queen's predecessor and namesake, Elizabeth I, presided over the very beginning of England's experiment in empire. We see the world as she understood it, in the form of an early atlas. As he explores Britain's involvement in world affairs Will examines a shard of wood from the coffin of George Washington, a print of a merino ram which illustrates George III's impact on the Australian wool trade, and a brightly painted chess set, presented to the Duke of Edinburgh by President Mandela in 1996. Each of these objects has its own story to tell and each reveals another aspect to the art of monarchy. Producer: Neil George. The Royal Collection is one of the most wide-ranging collections of art and artefacts in the world and provides an intriguing insight into the minds of the monarchs who assembled it. During the series, Will Gompertz encounters dozens of these unique objects - some priceless, others no more than souvenirs - each shedding light on our relationship with the monarchy and giving a glimpse into the essential ingredients of a successful sovereign. In this programmes, Will explores the relationship the institution of the monarchy has had with that potentially corrosive agent - change. He finds that the most successful monarchs have understood and harnessed innovation - Henry VIII took an interest in wood so the Navy boats would be the best on the ocean, Charles II established the Royal Observatory so astronomers could find out more about the skies and better inform navigation. Queen Victoria asked Marconi to demonstrate a radio station at Osborne House and she took part in the first trans-Atlantic cable ever sent. With the help of objects and curators from the Royal Collection, together with leading historians, Will studies objects that not only demonstrate the patronage of the arts and sciences but also illuminate the more personal expressions of learning and monarchical intellectual engagement. Producer: Sarah Taylor. The Royal Collection is one of the most wide-ranging collections of art and artefacts in the world and provides an intriguing insight into the minds of the monarchs who assembled it. During the series, Will Gompertz encounters dozens of these unique objects - some priceless, others no more than souvenirs - each shedding light on our relationship with the monarchy and giving a glimpse into the essential ingredients of a successful sovereign. In this programme, Will investigates the unspoken and unwritten contract that has existed between the rulers and the ruled in this country. 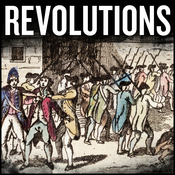 Over the centuries, both parties have used compromise and conflict, threat and reward. Will uses six objects from the Collection to illuminate some of the pivotal moments in this relationship. From the Wriotheseley Garter Book, dating from the 1520s, one of the earliest depictions of Parliament in action, to a ring keeping the memory of the recently executed King Charles I alive, Will sees both extremes of the relationship between monarch and subject. He encounters the face of revolution in an early photograph purchased by Prince Albert and meets some of those recently touched by a sword that belonged to King George VI, now known as the Investiture Sword, as he gets to the heart of the might and the majesty of monarchy. Producer: Neil George. The Royal Collection is one of the most wide-ranging collections of art and artefacts in the world and provides an intriguing insight into the minds of the monarchs who assembled it. In this series, BBC Arts Editor Will Gompertz encounters dozens of these unique objects - some priceless, others no more than souvenirs - each shedding light on our relationship with the monarchy and giving a glimpse into the essential ingredients of a successful sovereign. In this programme, Will uses five objects to investigate a pivotal aspect of the art of monarchy - the projection of magnificence. An idea as old as monarchy itself, magnificence is the expression of power through the display of wealth and status. Will's first object unites our current Queen with George III; the Gold State Coach, which has been used for coronations since 1821. Built for George III in 1762, it reflects Britain's new found glory in its richly gilded carvings and painted panels...but the glory was to be short lived. Will goes on to explore Henry VIII's taste for interior design at Hampton Court Palace, with the enormous Abraham Tapestries - a symbol of Henry's personal self-belief but also a post-Reformation statement to his rival the Pope. Charles II's preoccupations are given unlikely form in a silver table now held at Windsor Castle, whilst Sir Christopher Wren's designs for Hampton Court have an unusually egalitarian purpose. The idea of magnificence might seem one-dimensional - but encoded into the jewels, the gilding, the silver and the marble are stories of political intrigue and personal paranoia. Prod: Neil George.